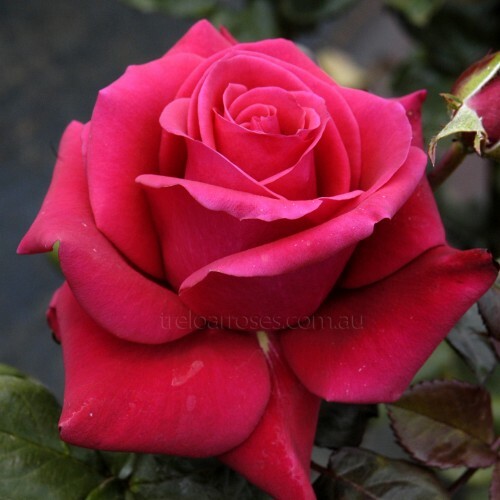 (Kornafiro) - The pointed, elegant buds develop into large, attractive blooms of cherry red. The appealing, clean colour from bud to aged bloom is astonishing. Deep green foliage enhances the overall appearance of this medium sized bush. Excellent cut flower variety.